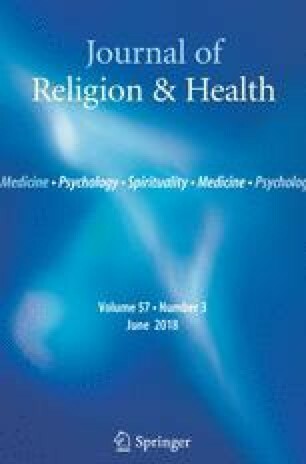 We aimed to investigate the relationship of religious beliefs and forgiveness in diabetic patients with various sociodemographic characteristics, emotional problems and glycaemic control. The study comprises 100 patients diagnosed with type 2 DM. We used a data collection form, the Scale of Forgiveness and Religiosity (SFR), Problem Areas in Diabetes Scale (PAID), Beck Depression Inventory (BDI), State-Trait Anxiety Inventory (STAI) and the Audit of Diabetes-Dependent Quality of Life (ADDQoL). We also recorded blood glucose and HbA1c test results. A statistically significant relationship was determined only between the scores of the STAI-I and the religious belief scales (r = 0.198, p = 0.049). A statistically significant negative relationship was determined between the forgiveness scale points and the BDI (r = 0.326, p = 0.001), the STAI-II (r = 0.308, p = 0.002) and PAID (r = 0.313, p = 0.001) and a positive correlation with ADDQoL (r = 0.284, p = 0.004). To conclude, forgiveness by patient himself or others reduced the emotional problems which were experienced related to diabetes by reducing stress levels and could increase quality of life. All of the authors have no conflict of interest. All procedures performed in studies involving human participants were in accordance with the ethical standards of the institutional and/or national research committee and with the 1964 Declaration of Helsinki and its later amendments or comparable ethical standards. We took ethical approval from the ethical committee of the Ankara Numune Education and Research Hospital. Polzer, R., & Miles, M. S. (2005). Spirituality and self-management of diabetes in African Americans. Journal of Holistic Nursing, 23(2), 230–250; discussion 251–234; quiz 226–237. doi: 10.1177/0898010105276179.